Handwritten thank you notes are one of the most effective ways to build trust, create a sense of community, inspire genuine connection—and above all, help you avoid getting stuck in a 9-5 rut. Although the thought of re-entering a classroom setting might be scary, earning your GED credential is a big deal for you and your future. A guide to helping you find the job that will pay the bills, make you successful, and keep you happy. 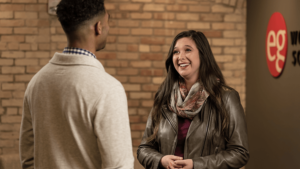 When you start looking for a new job, a recruiter will help you land a job faster, and that new job will be a better fit for your skills and your life. Which Buys New Job Happiness: Money or Culture? You’ve put in the time and gained the necessary skills to advance in your field, but is that new role you’ve been eyeing really going to make you happier? 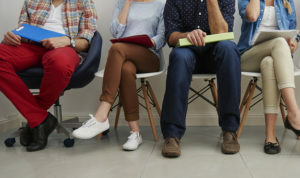 Not all companies have extravagant budgets for perks, but there are immediate actions that companies of any size can take to impact retention of great employees. From assisting with compensation negotiation to positively representing a niche skill set, recruiters act as important advocates throughout the hiring process. 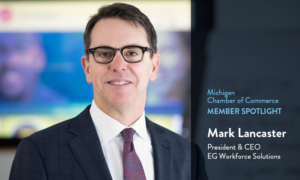 EG President & CEO, Mark Lancaster, sat down with the Michigan Chamber of Commerce to discuss what inspires him and the rest of the EG Workforce Solutions team to come to work every day. Are Michigan’s Paid Medical Leave Laws Changing?